Come learn about aging gracefully via integrative natural wellness tools to support the graceful aging process with Yinhsu Liu (Naturopathic Physician & Registered Dietician). Special Offer to attendees at this activity: enjoy an additional 5% off the 20% pre-sale on post-festive season packages (extended just for AWC through Jan 18th). See the package details. 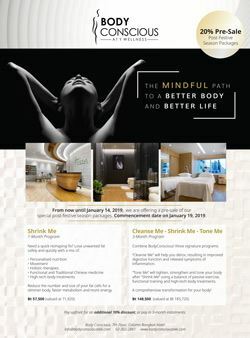 BodyConscious at Y Wellness – This 360-degree holistic wellness centre offers a wide range of body and mind treatments spanning across functional medicine, naturopathic medicine, Traditional Chinese medicine, functional physiotherapy and personalised fitness services. 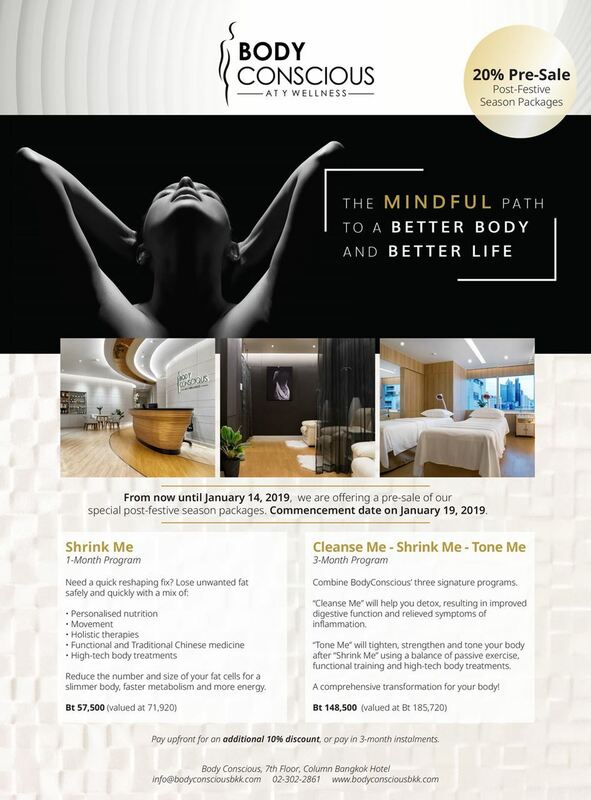 While its key signature programs are “Cleanse Me”, “Shrink Me”, “Tone Me”, “Fix Me” and “Renew Me”, BodyConscious’ unique highlight is its ability to integrate modern medicine with traditional wisdom and present its services as an optimal wellness solution to its clients. The highly professional team at BodyConscious consists of some of Asia’s leading experts in well-being who can communicate not only in Thai and English but also Mandarin Chinese and Japanese.